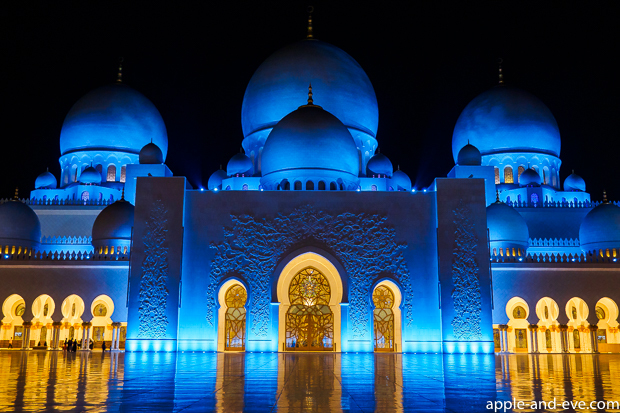 The Sheikh Zayed Grand Mosque in Abu Dhabi is a sight to behold. 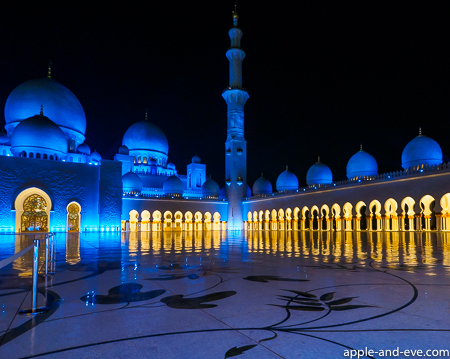 At night it is even more so, a real must-see attraction! 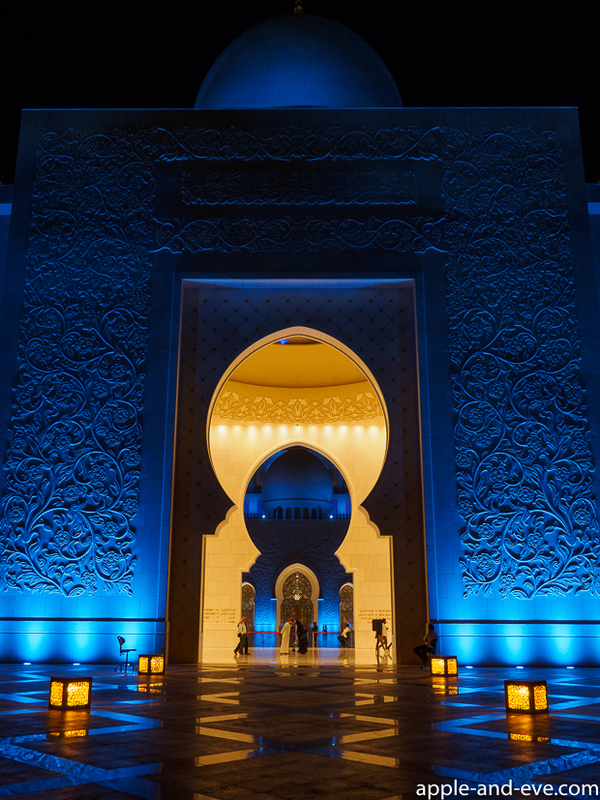 Named in honour of the late Sheikh Zayed bin Sultan Al-Nahyan and opened in 2007, it’s location was carefully chosen to make it visible from all access roads into Abu Dhabi. 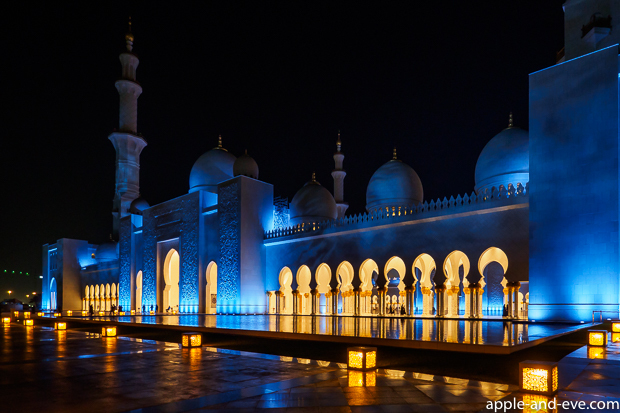 It features four minarets and eighty-two domes, and was constructed mainly from pure white marble and other materials sourced from around the world. 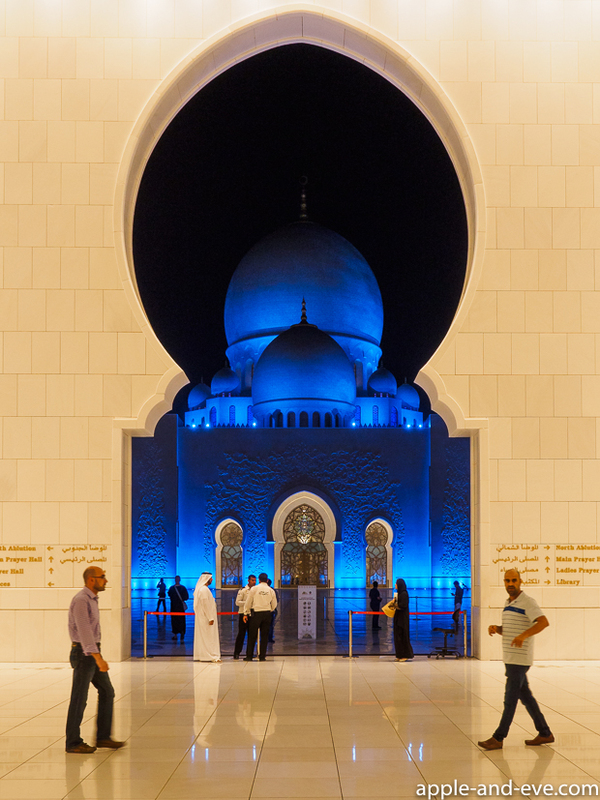 We had the opportunity to visit the mosque recently at night while taking visiting friends for a sight-seeing tour in the city. 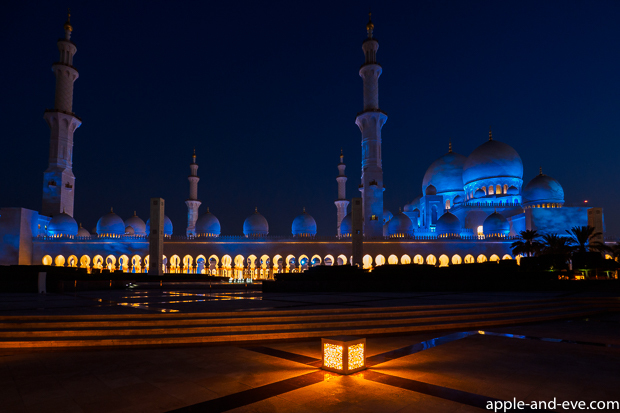 The mosque is beautiful any time of day, but it really becomes spectacular at night. I hope you enjoy viewing the images as much as I enjoyed shooting them! All images shot handheld with my little Olympus OMD EM-10 camera. 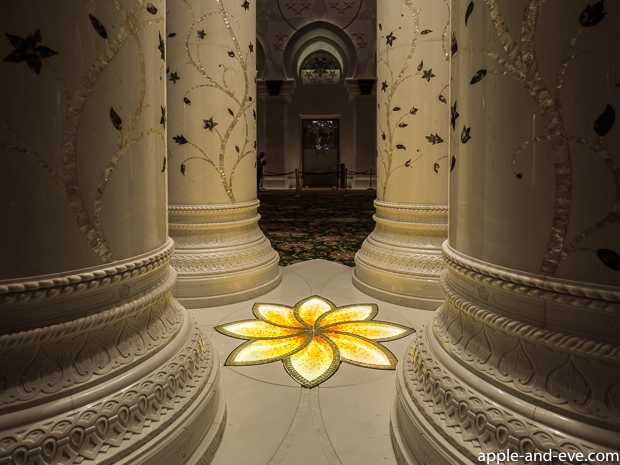 Lots of marble to be seen. 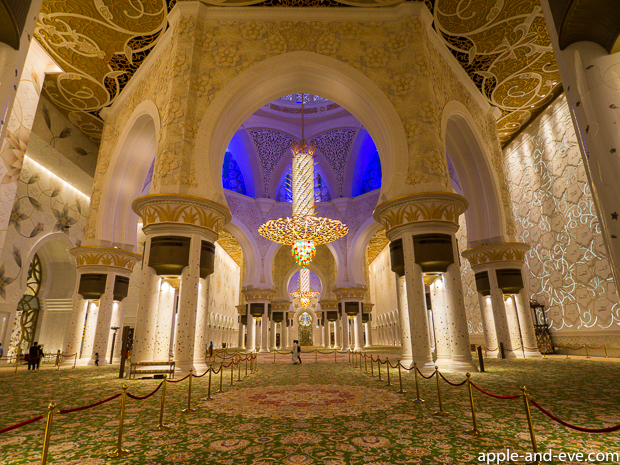 The largest hand-knotted carpet in the world. It took two years to knot by approximately 1200 artisans. 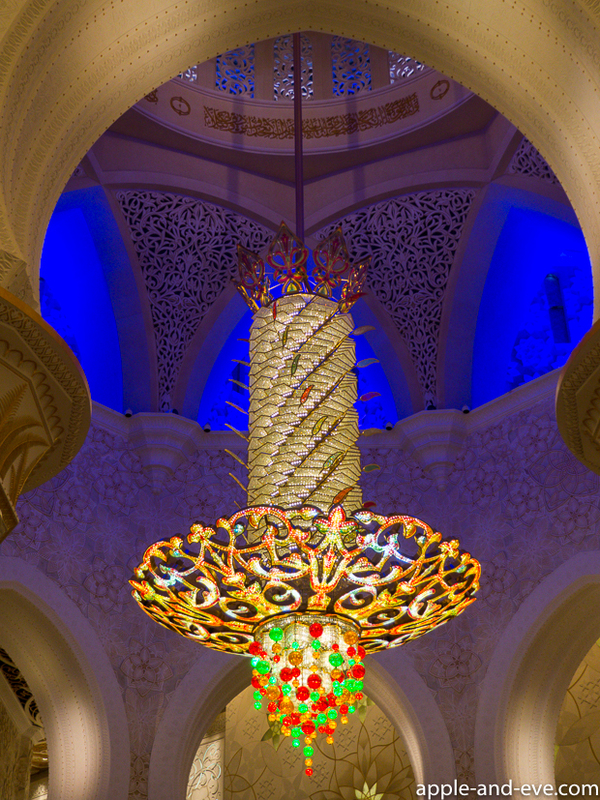 A massive chandelier containing Swarovski crystals. 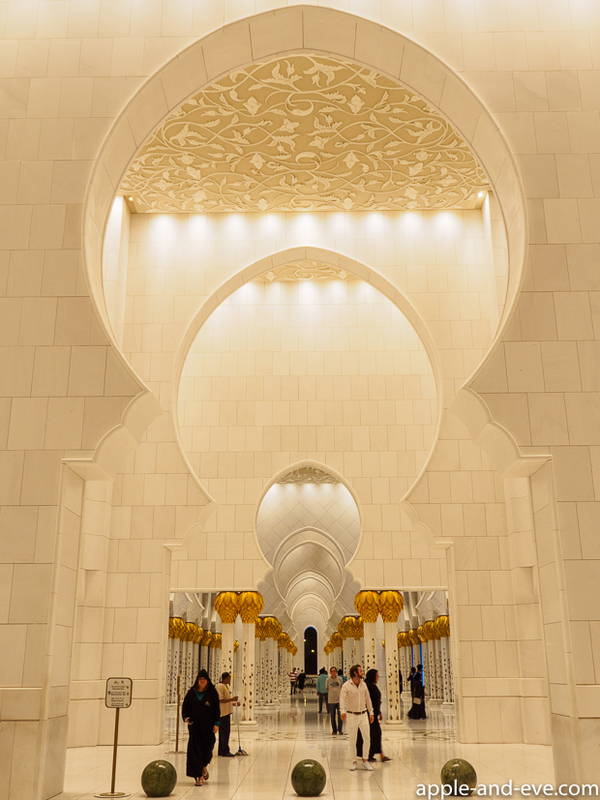 View across the main prayer hall. 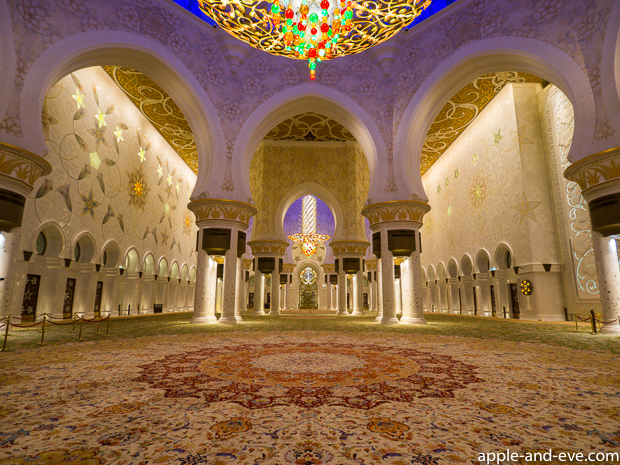 If you ever have the opportunity to visit Abu Dhabi, then this should be high on your agenda of things to see! 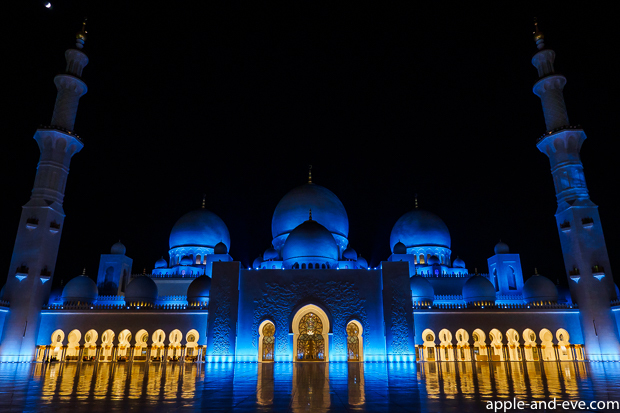 How were you able to book a night tour…I will be in Abu Dhabi but won’t be arriving until 1230 at night and have to leave at 12 in the afternoon and would love to see it like this! Sorry Jake, my reply is probably too late. 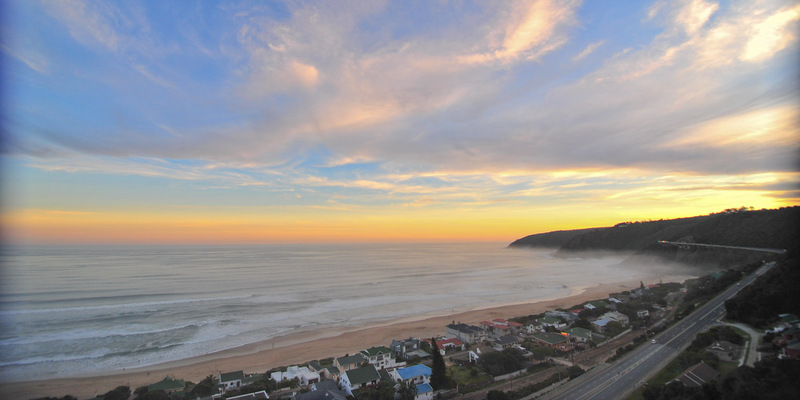 You do not have to book a tour, you simply take a taxi or other transport and go by yourself. Entrance is free too. Check the mosque’s website for visiting information. Hi there, could you please inform me at what state of the moon phases you took these photos? Is it the most spectacular at new moon, so the domes are the bluest? Hi Hannelore, I’m not sure at what phase the moon was, but the blueness of the domes is quite spectacular and I don’t think the moon has much effect on it. 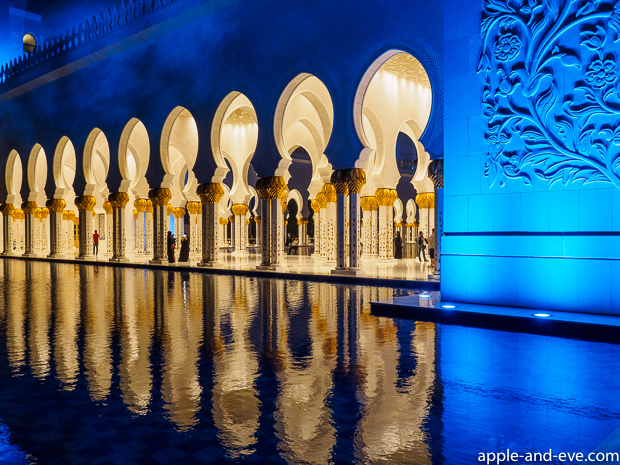 awesome photos of incredible acrchitecture and art. Wow, Fantastic images very well done guys. I’ll never visit this place – no opportunities for me. Thank you for the opportunity to look at this wonder through your eyes. Never say ‘never’ – you never know, it was not that long ago when I also thought I won’t see !